Your Aunt brings happiness, sunshine and joy to your life every time you see her. Why not give her a thoughtful and loving gift just because. GiftsForYouNow.com offers many Aunt Gift Ideas suitable for birthday's, anniversaries, graduations and holidays. For the woman on the go, our Embroidered Initials Jute Bag With Pocket will have her prepared for anything and feeling great. Punchy colors liven up any outfit. We will embroider this pocketed tote bag with 1 or any 3 initials, in your choice of tote color, thread color and font type. This bag is a perfect to give as bridesmaids gifts, or for any lady in your life! Ask any grandma what her favorite part about being a grandmother is and she will undoubtedly say her grandchildren! 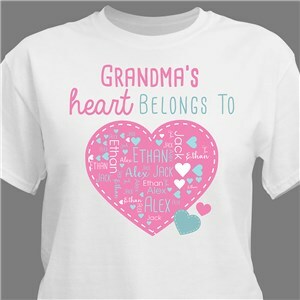 Our Personalized Grandma's Heart Word-Art T-Shirt mirrors that sentiment. Using our word-art tools, create this t-shirt with her grandchildren's names on your choice of t-shirt color. This is great for Mother's Day Gifts For Grandma and also could be a personalized Mom, Nana, or teacher t-shirt! 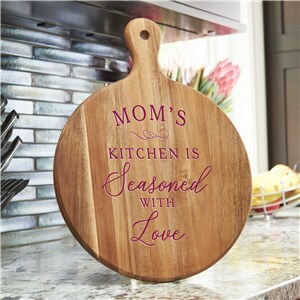 Display this cute paddle shaped acacia wood Seasoned With Love personalized kitchen sign in your home and let everyone know the secret ingredient is love. Personalize this acacia paddle with any name or title in your choice of font color, making a unique decor piece to match any kitchen. Cooking with love provides good food for the soul! For the woman on the go, our embroidered Initials Color Block Jute Tote Bag will have her prepared for anything and feeling great! Choose one initial or a 3 letter monogram - we will embroider this great tote bag with your choice of thread color and font type on any color bag you choose. This bag is perfect to give as a bridesmaids gift, or for any lady in your life! 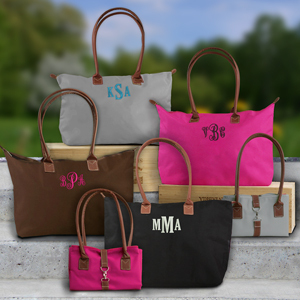 These Monogrammed Tote Bags are great and we're confident any lady will absolutely love them! They can fold it up for convenient storage, use as a purse or use it as a full-blown tote bag. 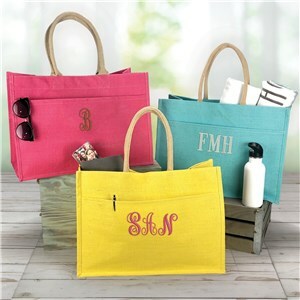 Free personalization of these convertible Monogrammed Tote Bags includes any three initials, font and thread color. Note: First Name Initial will appear on the left, last name initial will appear larger in the center and middle initial will appear on the right. 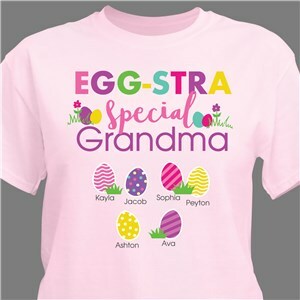 Let the most important woman in your life know how special she is this Easter with our Egg-stra Special Grandma Personalized T-Shirt. Not just for Grandma, our t-shirt can be personalized with any title and up to 20 names. While you show off how important she is, she can show off how important you are to her every time she wears this t-shirt. 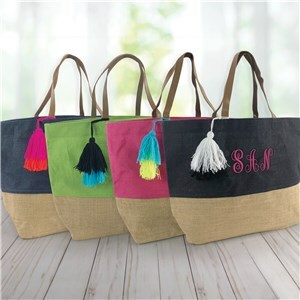 This chic and stylish Embroidered Any Name Tote Bag is one that any lady will absolutely adore. Personalized Tote Bags can fold up for convenient storage, use as a purse or use it as a full-blown tote bag. We will beautifully embroider with any name, choice of font style and thread color. Makes a great gift for Birthday, Anniversary, Holiday gift and many more occasions. 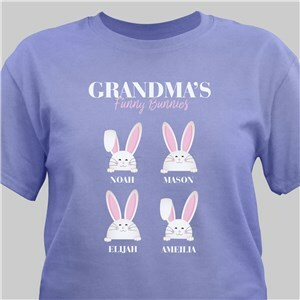 This Grandma's Funny Bunnies Personalized T-Shirt is a cute way to celebrate the Easter holiday and show off all your grandkids, kids, or just your favorite people. This t-shirt will be personalized with your choice of t-shirt color, any title, and up to 16 little bunnies. 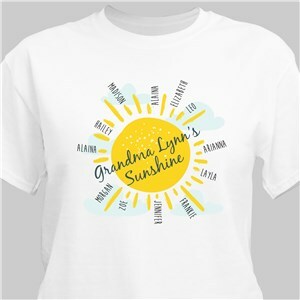 Let her show off what makes her shine bright in our Grandma's Sunshine Personalized T-Shirt. Not just for Grandma, our t-shirt can be personalized with any title and up to 12 names on your choice of t-shirt color. She will never get tired of showing off her radiant beams! 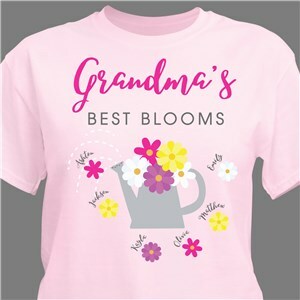 Let Grandma, Mom or another special lady show off her precious flowers with our Grandma's Best Blooms Personalized T-Shirt. Our personalized t-shirt can be customized free with any title and up to 20 names on your choice of t-shirt color. While you show her how important she is, she can show off how important you are to her every time she wears this t-shirt this spring! Our Personalized Busy Little Bees Garden Flag will make her yard or garden so much brighter this spring. Personalize this garden flag with any title (Mom, Grandma, Aunt, Etc.) and up to 16 names. 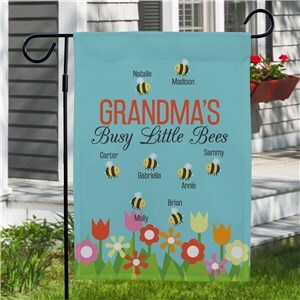 This garden flag is Un-BEE-lievably cute for her to show off her favorite people! 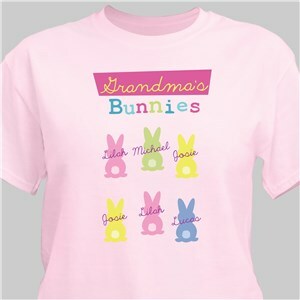 Let your favorite woman show off her favorite bunnies in our Grandma's Bunnies Personalized T-Shirt. Not just for Grandma, our t-shirt can be personalized with any title, up to 12 names with bunny color choice on any t-shirt color. She will never get tired of showing off her favorite people! Show off your little cottontails in our Personalized Little Cottontails T-Shirt! 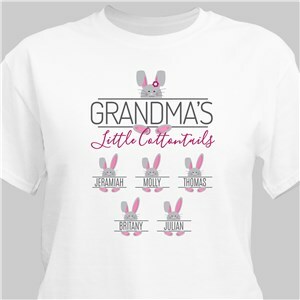 This t-shirt is not just for Grandma, personalize this t-shirt with any title and up to 16 names on your choice of t-shirt color.< You don't have to hunt any further, this t-shirt is perfect for Easter! 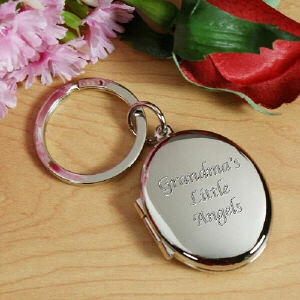 This personalized locket key chain is a beautiful and practical keepsake that will be treasured forever. The engraved key chain Personalized Lockets can be customized with any message, up to seven lines and 20 characters per line! This unique gift measures 3½" x 1½" and holds two photos approximately 1" x 1.25" in size. This key chain locket is guaranteed to make your recipient tear up with joy. 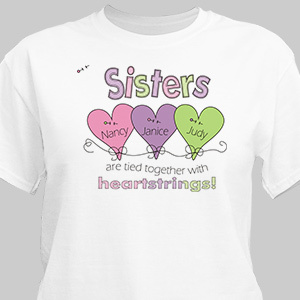 These Sisters Personalized T-Shirts make a wonderful gift to celebrate the joy and bond of sisterhood. Personalize one for all of your lovely sisters today. These sister gifts are available on our premium white 100% cotton Personalized Shirt, machine washable in adult sizes S-3XL. This Personalized Sisters shirt is also available in a lovely Pink or Ash Grey. Each Personalized Sister shirt includes FREE Personalization with up to 6 Sisters names. 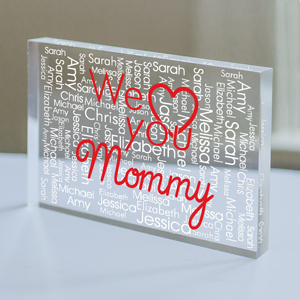 All of our Personalized Aunt Gift Ideas include FREE Personalization along with FAST & EASY service. When you need a special gift for your Aunt think GiftsForYouNow.com. We have what you need, when you need it.